In no other country is the predominance of men among the top executives of large stock exchange traded enterprises as strong as in Germany. 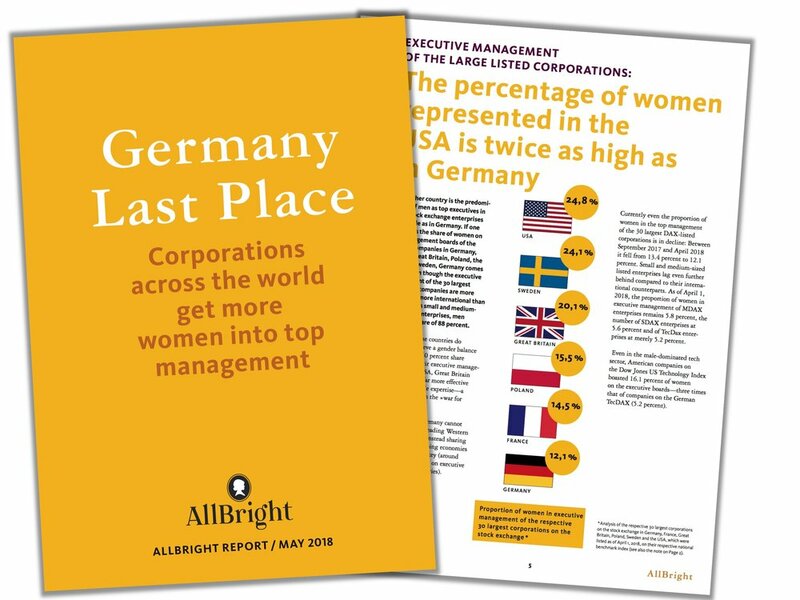 If one compares the share of women on the management boards of the leading companies in Germany, France, Great Britain, Poland, the USA and Sweden, Germany is in last place – here women hold a share of only 12.1 percent. The comparison also shows: Paid parental leave or affordable childcare are important to enable women to work full time, but the crucial factor to advance women to the highest levels of management is the will of the companies.